Newly-announced architecture leverages companies’ combined Industry 4.0 expertise to transform business models. Telit today announced it is collaborating with Yokogawa, a global leader in the industrial automation and control, test and measurement, aviation, and other business segments, on a brand new Industrial Internet of Things architecture created with the goal of propelling Yokogawa’s business model into a connected future. By combining Telit’s robust technological portfolio of communication modules, sensor onboarding, and device management capabilities with Yokogawa’s 100+ years of experience in providing devices, analytical instruments, and other industrial solutions, Yokogawa will be able to create new value for its customers. 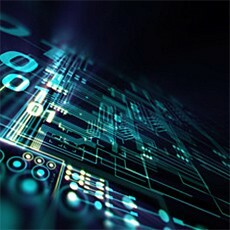 Telit will contribute three critical components to the Yokogawa IIoT Architecture: A broad portfolio of wireless IoT communication modules whose common form factors necessitate only one hardware design per global deployment, a diverse collection of industrial drivers and edge analytics which enable a robust sensor onboarding capability, and powerful connectivity and device management capabilities. Through collaboration with Telit, Yokogawa will be able to provide an end-to-end sensor to cloud solution composed of sensing, control, and cloud-based processing. Telit’s cloud platform will act as an industrial-class device on-ramp to Yokogawa’s managed cloud architecture, ensuring bi-directional device compatibility and control with a host of industrial sensors. Telit offers seamless remote device management capabilities including configuration, provisioning, and updating using ad-hoc or custom schedules applied to infinitely customizable groups of devices. Telit technologies integrate seamlessly to Yokogawa’s managed cloud architecture, enabling hyper-scale ingestion of millions of events from industrial assets and devices. Yokogawa and Telit will hold a joint presentation on their Industrial Internet of Things collaboration at Telit IoT Innovation and the IoT Evolution Expo, both occurring February 7th through the 10th in Ft. Lauderdale, Florida.